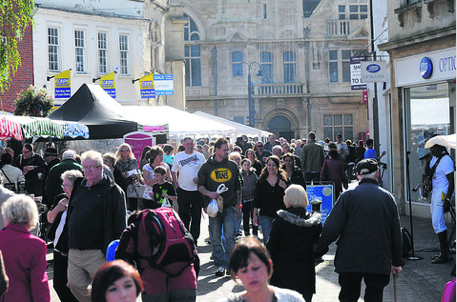 Trowbridge Town Centre was packed on Saturday for the first Fore Street Food Festival. 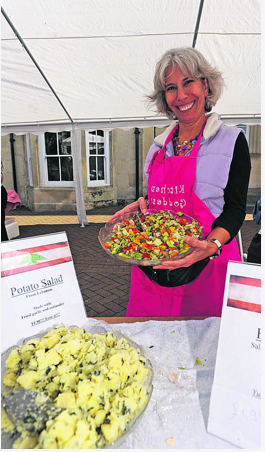 Organised by the new Trowbridge Town Team, the festival filled Fore Street with stalls selling all sorts of locally produced food and drink, as well as arts and crafts and gifts. Ellie Gill, of Trowbridge Town Team, said: “It was brilliant; really really good. “I’d never seen so many people in Trowbridge. It was fantastic. It was such a good feeling and an amazing vibe. “It was lovely for the producers, as well, to have so many happy customers. At one point, I looked up and there were all these customers dancing around stalls. Many of the stallholders completely sold out, including a cupcake stall, cider vendor and artisan bakery stall.